Wim Hof Method: Hope for Autoimmune Disease Sufferers? Wim Hof Method: New Hope for Autoimmune Disease & Rheumatoid Arthritis Sufferers? People are able to influence their immune systems at will. They can do this by applying the techniques of “iceman” Wim Hof. This discovery was made by scientists of the Radboud University Medical center in the Netherlands (we have brought this paradigm-shifting news before). The question now arises: what does this mean for people suffering from autoimmune diseases like rheumatoid arthritis and cancer? Do we have to be careful not to create false hope? Henk van den Bergh has been suffering from rheumatoid arthritis for 27 years. And he takes a swim everyday in the Gooi lake in the Netherlands. Henk says he has probably done this around a hundred times by now. He mentions it’s “some sort of addiction” and feels his body asks for it. He loves the feeling on his skin that he gets after such a swim. 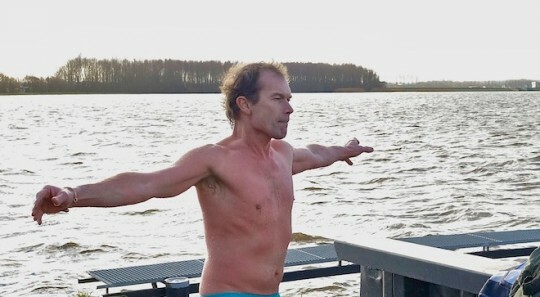 Henk van den Bergh is inspired by Wim Hof, also known as “the Iceman”. It is his methods that he has been following since a year and a half. Wim Hof makes a bold claim: he says that, through his techniques, he is able to influence his immunesystem at will. Dr. Peter Pickkers is the leader of the team that did the study at the Radboud University Medical center. For him, the most important conclusion of the study is that for the first time ever scientists have been able to show that a human being is capable of voluntarily influencing his autonomic nervous system and his immune response. Science claimed this to be impossible up until now. And that is something that he hasn’t been able to do until recently. Only two years ago, both his shoulders were inflamed, as well as his elbow and one knee. …that he was definitely not going to sit in an ice bath! He had a jacuzzi and a little infrared sauna at home. Both of these were comforting to him, and he very much wanted to stay in that comfortzone. But van den Bergh took up the Wim Hof method anyway (which is a combination of cold training, meditation and breathing techniques). He even ended up training in Poland with Wim Hof in the middle of winter. And he climbed mount Kilimanjaro in his bare chest. 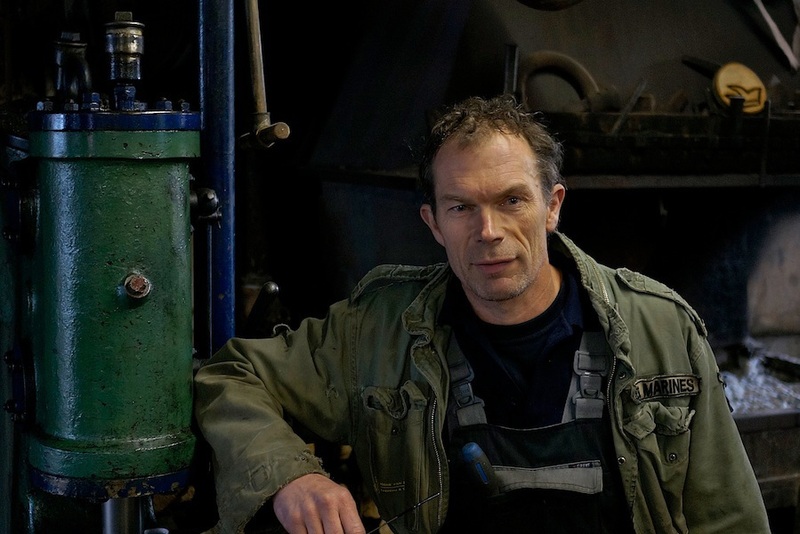 Henk van den Bergh used to take his medication once a week, but now he takes it once every 4 to 5 weeks. And he feels good with that. His rheumatologist feared that Henk would feel tired, because according to him, that’s what regularly happens to rheumatoid arthritis patients who react well to a treatment. But, in short, he says that there is “a very strong positive effect”. But he warns that we can’t say that there is a direct causal link between the effect of the Hof method and the fact that the RA appears to be less active. He suggests that, to really see if such a relation exists, that a good study would be needed that looks at multiple RA sufferers, and then follows up with them. So, even though the link with Henk van den Bergh’s wellbeing hasn’t been scientifically proven yet, the reumatologist concludes that the Wim Hof method can be an addition to any medical treatment of RA. Meanwhile some cancer patients, too, are believing in the technique. We can ask ourselves now whether this is not getting out of hand. Is this news not creating too much false hope? 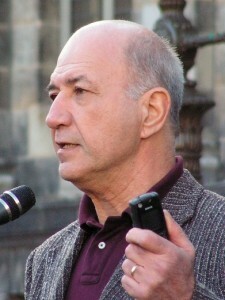 Wubbo Ockels is a former astronaut and has cancer. 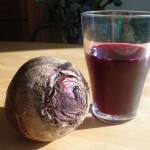 He, for one, is glad to be doing everything within his power to that might strengthen his immune system. The way things are now, nobody is offering him a cure anyway. The VU University Medical Center in Amsterdam has applied for a grant to do more research. 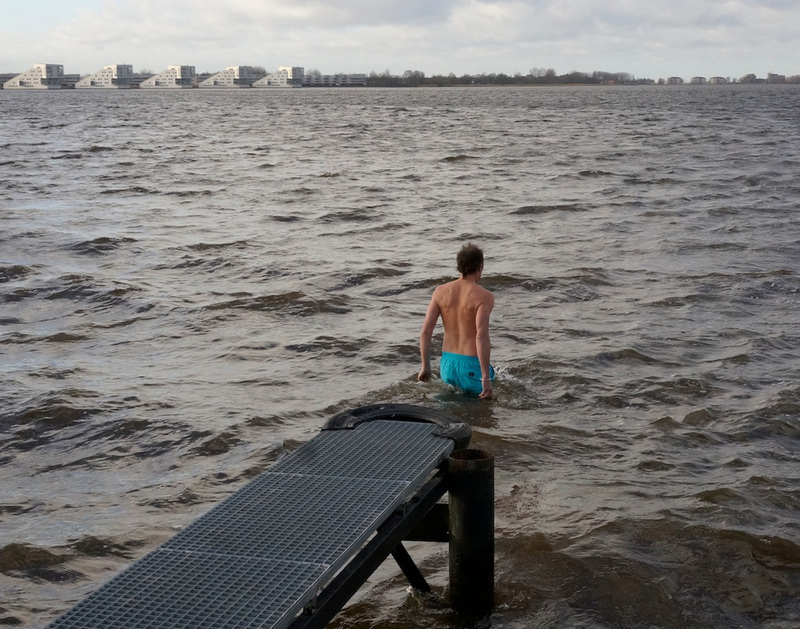 But meanwhile, while science is trying to find ‘proof’, Henk van den Bergh continues with his daily swim in the lake. And that is awesome: he doesn’t need any scientific confirmation and just follows his feeling and intuition. After all, if it feels good, why would anything else be necessary? And he’s not the only one, Hans Spaans is a long time Parkinson’s disease sufferer. He too is experiencing healing through the Wim Hof method. This article is in part based on the “Eén vandaag” TV broadcast by AVROTROS/ TROS/ AVRO that aired on dutch television on 7 may 2014. Images copyright © Oog op Blaricum released under CC3.0. Images are cropped. 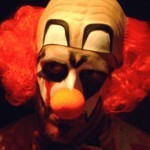 Does watching horror movies strengthen your immune system? 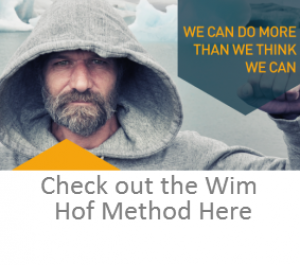 4 Responses to Wim Hof Method: New Hope for Autoimmune Disease & Rheumatoid Arthritis Sufferers? I to suffer with psoriatic arthritis and degenerated spinal disease. I now have diabetis because of steroids used in treating me.i am willing to try anything to get away from very strong opioid pain killers and steroids. Is there any danger to his methods for someone with my condition. My mom has stage four cancer. We have her on a strong protocol but would love to implement a breathing technique that can help her immune system and increase oxygen on a cellular level (cancer is anaerobic). 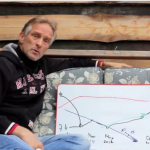 I messaged a breathing coach about Wim Hof vs. Buteyko to hear his advice. This is what he wrote back. Would love to hear anyone’s advice and if there’s evidence backing up one technique vs the other for cancer. Simply, low carbon dioxide means less oxygen delivered to the cells of the body. Hyperventilating does not ‘load-up’ the blood with oxygen. Respiratory physiology doesn’t work that way. People who attempt to hold their breath for a very long time underwater will hyperventilate before. This blows off carbon dioxide and then the brain loses it signal to breathe. Carbon dioxide guides breathing in low activity. So by blowing off carbon dioxide they can stay underwater for a very long time because nothing is signalling the brain to breathe. This is very dangerous. Those going for world records are having their heart rate monitored. If they pass out they pull them out of the water. People trying this at their local swimming pool have drowned which is why this practiced is banned from public pools in Canada and the US. You would be supporting anaerobic metabolism with hyperventilation, not lessening it. Indeed! These are good questions to ask. And I think the coach has it spot on. In my opinion, in the long run Wim Hof breathing *can* be detrimental to the body. I say “can be”, because it all depends on what else you do. I use mostly the chinese viewpoint of the “fire” and “water” element in things like this. The fire element is dynamic, outgoing, hot. The water element is cold, slow, restful, introverted, yin. The wim Hof breathing method definitely is a “fire” method. And it’ll burn you up, if you overdo it. But, if you balance things out with other, more ‘yin’, water practices… that may be another story. (F.e. an example of a yin practice might be a dark room retreat, sitting in the dark, doing nothing for a week.) In fact, I can just imagine a sort of workshop/seminar of a week or so, whereby Wim Hof breathing is combined with relaxation and darkness stuff, so that all that fire and whatever it brings up can be integrated in the body. Thank you for your comment, Daniel. !